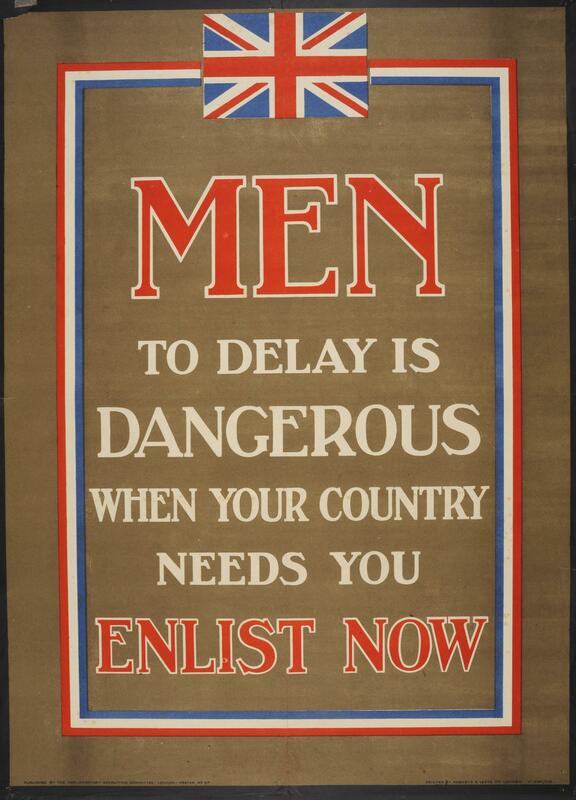 First World War recruitment poster; 'Men to delay is dangerous when your country needs you. Enlist now'; published by the Parliamentary Recruiting Committee, London; poster no.67. Vivid text-based poster, with strong red, white and blue block letters seeking prompt enlistment.